Mr. Abramson focuses his practice on the representation of public and private sector employers in labor and employment matters. 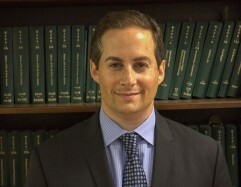 His work involves providing support on a full range of employee-related matters including employment policies and procedures, employment discrimination, employee termination, compliance with the Family and Medical Leave Act, collective bargaining issues and grievance negotiations and arbitrations. Member of the New Jersey and New York Bars.